The four player cooperative shooter, Earthfall, is getting another major update tomorrow with Invasion. The heavily driven community game has taken player requests into consideration with this update. New modes, features, and other bug fixes are the focus of Invasion, which is discussed by members of the developer Holospark below. 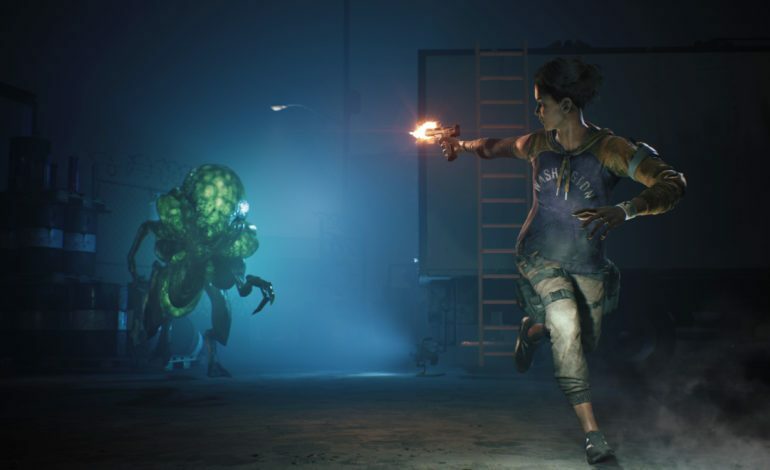 Originally released this past summer, Earthfall takes place in a post-apocalyptic world where a team of up to four players must battle groups of aliens. While fighting together, players must utilize the fortification mechanics inside of strongholds with defense systems like walls or turrets. These can act as barricades or damaging traps against the procedurally generated alien race. More guns can be created using a 3D printer until the quartet makes its way through ten objective based levels that are accompanied by character storytelling. While Earthfall is a multiplayer game, it is possible to go battle through the levels as a solo player with A.I. bots joining the team. Launching October 30, the Invasion update adds requests that were submitted from the community members on the game’s suggestion page. A new player progression system is being implemented along with specific player perks and skills. As with many online games these days, Holospark is adding new outfits and skins for purchase. Weapons will also have new cosmetics and the studio makes it a focusing point that they have researched and improved weapon audio sounds. At the forefront of the update is the new Invasion Mode. This is a horde style mode that will have four new maps. Approximately fifty new levels will stand in players’ way with wave after wave of alien warriors. All of these new features are shown to be direct requests from the community on Earthfall’s roadmap and Holospark continues to encourage players to help them build a better game. Earthfall is available on the Xbox One, PlayStation 4, and Steam Store.